Our NovemberFest kicks on with another eclectic mix of events this weekend mixing the serious with the fun, both indoors & out (see list below!). 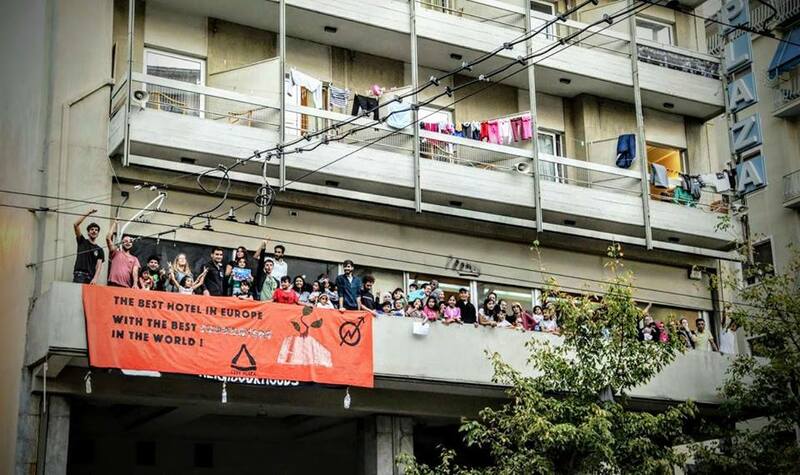 NovemberFest celebrates 20 years of Kebele social centre as a living anarchist experiment, since it was first squatted in autumn 1995, until now when it has evolved into a Community Co-Op. See ‘OurStory‘. Thursday 19th from 7.30pm. 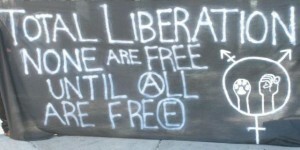 ‘Until All Are Free’ – a participatory workshop exploring the connections between human and non-human prisons. Friday 20th from 6.30pm. 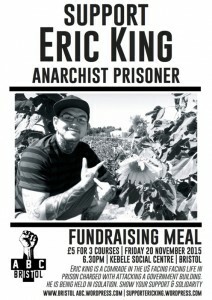 A fundraising meal, social and info night for US anarchist & vegan prisoner Erick King, organised by Bristol Anarchist Black Cross prisoner support group. 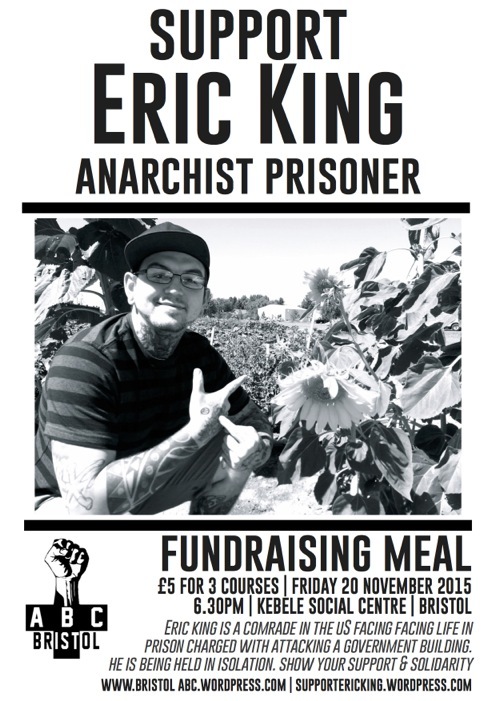 There’s a 3 course vegan feast for a fiver, lots of prisoner support info & fundraising goodies, and a good chance to find out about the work of the Anarchist Black Cross. FB event. Saturday 21st from 11am to 4pm. Bi-weekly volunteer workday at Royate Hill Community Orchard & allotment. Located off Royate Hill, Easton BS5. Wear old clothes. 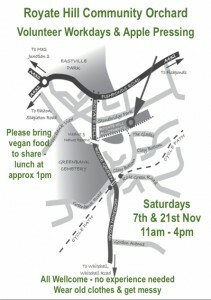 We stop for a vegan lunch about 1pm and welcome food brought along to share. This 10year old community project is facilitated by local permaculture activist Mike Feingold, and is a hands-on, learn as you go, initiative. 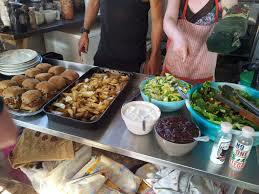 Sunday 22nd from 6.30pm it is the Sunday Social set vegan meal, cooked by volunteers, suggested donation is £2.50/3.50. 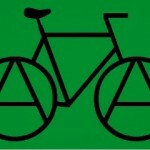 Followed at 7.30pm by a series of Short Films for Radical Action – organised by Andrew Butler of the Bristol chapter of Films for Action. FB event. Monday 23rd from 7pm to 10pm it is the weekly Mellow Monday. A space to hang out, read books, drink tea, chat, and play board games. Shiatsu tasters and facilitated political discussion for those so inclined. Tuesday 24th at 7.30pm. A Puppetry performance. 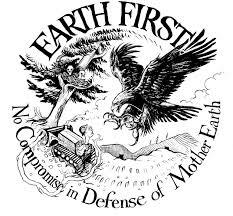 Otherstory presents ‘Roots of Resistance – a history of Earth First!‘. A live animation show celebrating twenty years of the environmental direct action network Earth First! It gathers together the stories of many activists – from the treetops of Newbury to the tops of power stations.